"A cosy, unpretentious chalet furnished with alpine wood panelling. From the entrance to the chalet complex, you are a 250m walk to a button lift, which takes you up to the main lift base for Les Arcs 2000. The L’Ours Blanc is an ideal option for those wanting catered accommodation in a resort that suits all tastes. As one if the highest ski resorts in the Alps, snow is guaranteed. There is challenging skiing and boarding, on and off-piste, from the top of the Aiguille Rouge above Les Arcs 2000 along the Glacier du Veret. Intermediates will love the hundreds of kilometres of cruising blues and reds. " Situated on the second floor of the building, this 16 bed chalet apartment is a popular chalet in our range. It offers comfortable accommodation on one level with 8 en suite bedrooms, several of which also have a balcony. In line with our other chalet apartments here, the chalet apartment has free Wifi,a satellite TV and a fireplace. Guests will appreciate the wide long balcony off the lounge and dining area, and the added bonus of its very own sauna. In addition guests have free access to the indoor pool in the adjacent Altitude building and will benefit from the ideal location with the slopes and lifts less than 3 minutes’ walk away. This is a comfortable chalet and we had a reasonable sized room with en-suite and shared balcony. One down side was that the shower head could not be fixed to the wall so whilst you could have a bath, it was difficult to have a shower if that's what you wanted. The hot water could run out in the evening. Not sure if this is linked to everyone having baths rather than showers. The food was very good. The breakfast was excellent. The afternoon tea was good but only tea and cake - no bread and jam. The dinner was very good as well. Canapes before dinner and chocolates after dinner were nice touches. Shame they did not purchase the bread direct from the local baker rather than buying the variety that is half cooked and you heat up in the oven. On the first day the lounge was cold but the rep addressed this very quickly by bringing in extra electric heaters. Very good service. 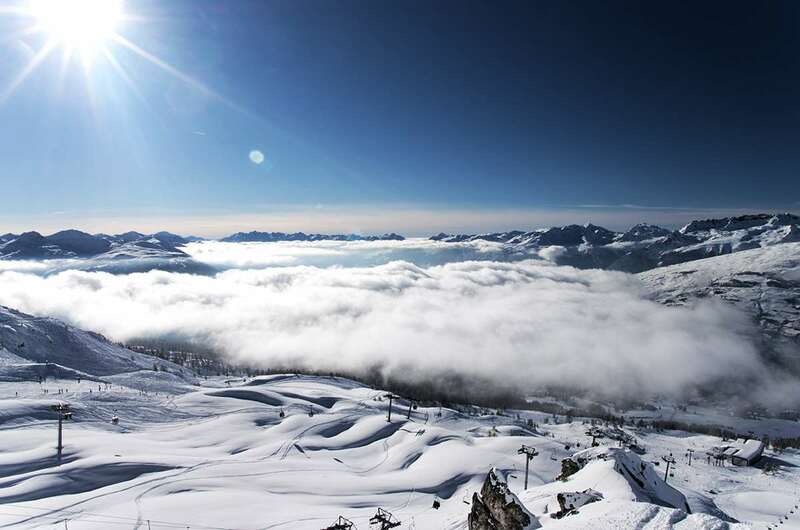 The Les Arcs resort does not have extensive skiing if you are a competent skier but you can buy the lift pass that includes La Plagne and travel across on the linking cable car. It took the resort quite a while to get the lifts open that link 2000 to 1600 and 1800 on the first couple of mornings which restricted the available skiing. Not sure if this is typical after a snowfall or whether there was a particular problem.